The design of the Big Sky represents the grandeur of Western Style Architecture. 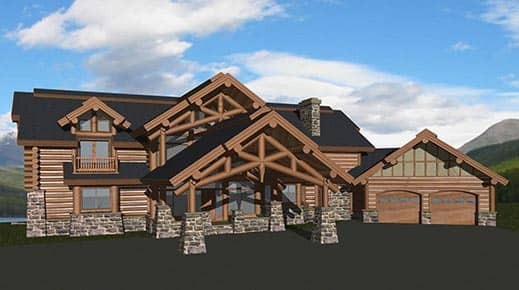 Massive handcrafted log walls and trusses set the tone, while curved turrets, stone and glass walls add character to this luxury log home plan. 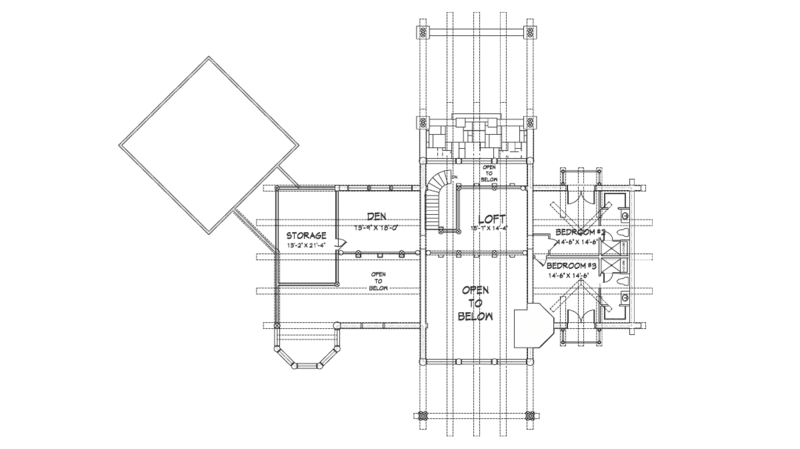 Redesigned as a milled log home, rotated to fit the build site, and two office spaces were added to the plan. 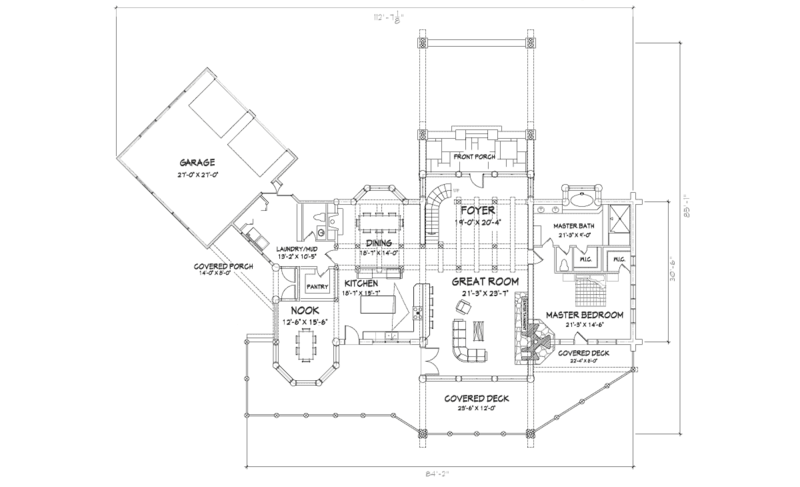 These clients reduced the size of the overall footprint, but then added a basement to house their home theater. 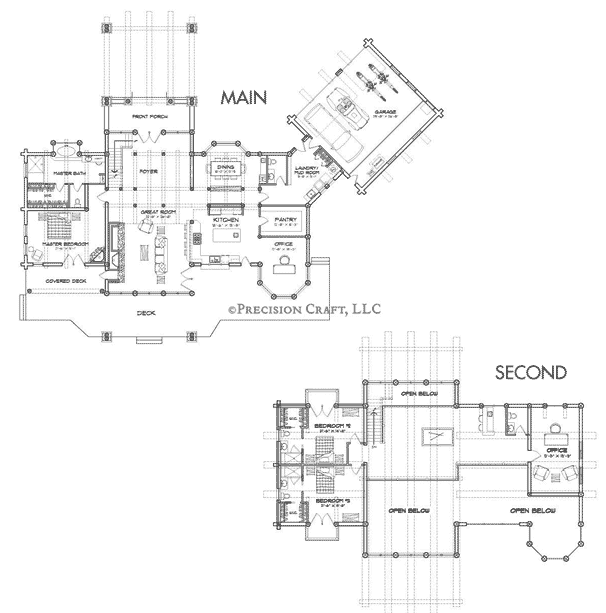 During the design process your designer will discuss how the four major factors of cost - square footage, complexity, product mix, and finishes - will affect your estimated turnkey cost. 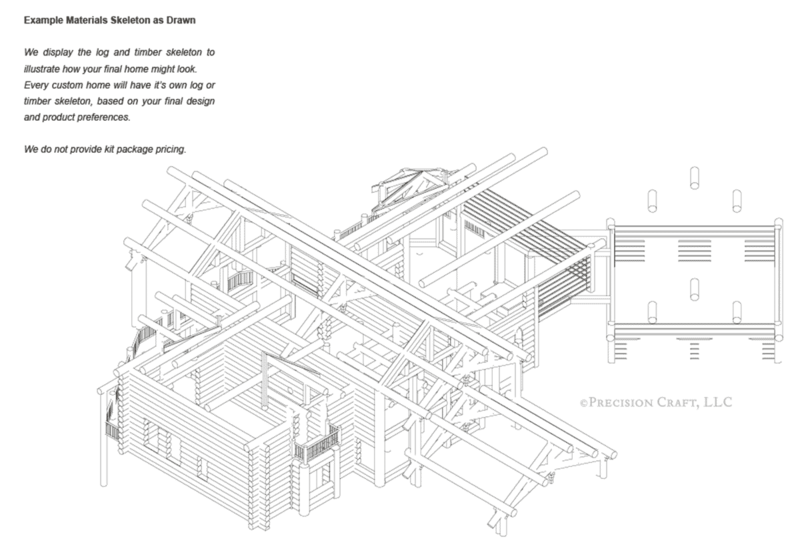 PrecisionCraft has been building timber and log homes for over 25 years, and in that time one thing remains true, no two projects are ever the same. 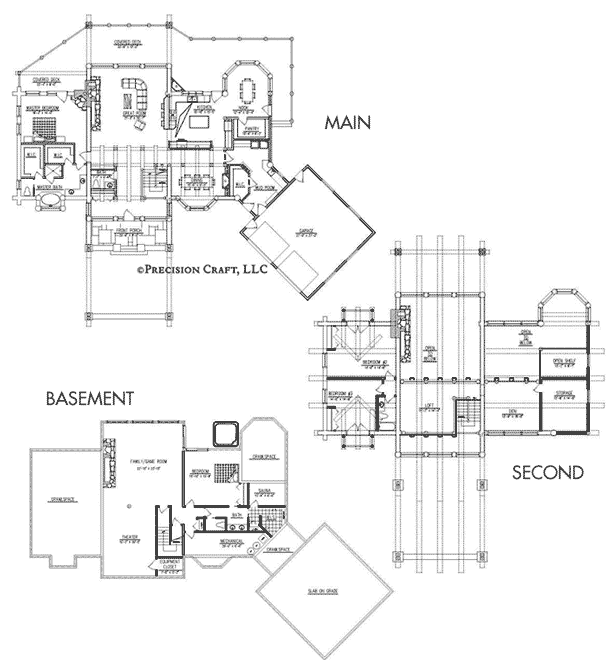 The Big Sky is one of our Rustic Luxury™ series of floor plan concepts. Consider adding luxury elements to your design such as a fire place in your master suite like the Big Sky. 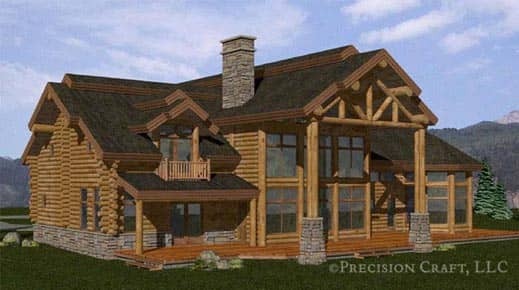 Other aspects of this design you may like include authentic handcrafted logs and a formal entryway.